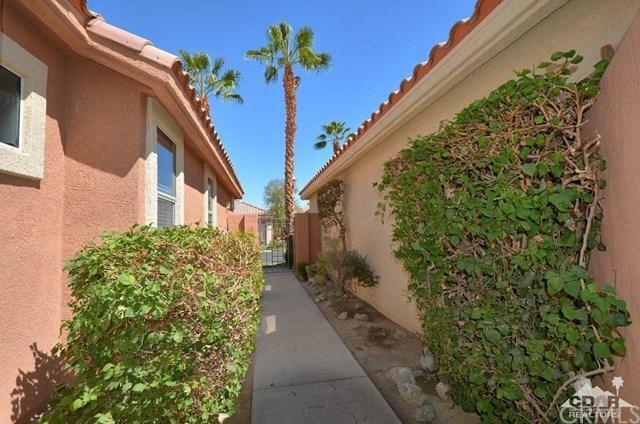 This detached condo is located in the thick of The Oasis Country Club with mountain views, pool and peaceful waterscapes just steps away from the west-facing patio. 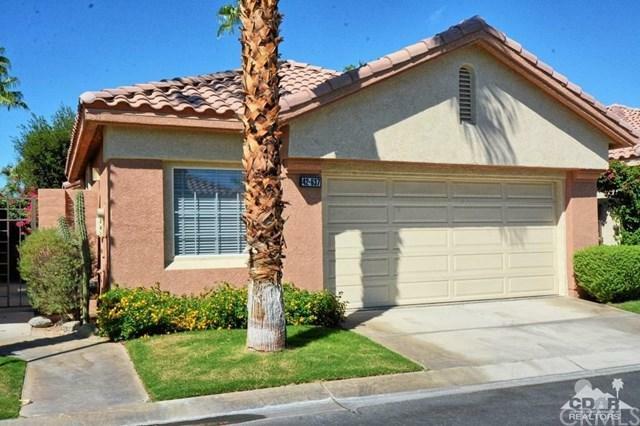 The home features 2 bedrooms, 2 bathrooms and a bonus room adjacent to the guest room. The bonus room is set up for additional sleeping, but would also be ideal as a workout room, office, hobby room, etc. The kitchen, living, and dining areas all have great west-facing views. Take your morning coffee and newspaper to the patio and enjoy the best Palm Desert has to offer. The Oasis Country Club features a par 60 executive golf course with 22 lakes, a Ted Robinson designed 18-hole putting course, putting green, practice driving range and three lighted tennis courts. The Clubhouse facility offers a beautiful dining room and lounge with views of the 1st tee and 18th hole. The Grille Room is conveniently adjacent to the Pro Shop to entice golfers for breakfast, lunch or cocktails before and after golf. 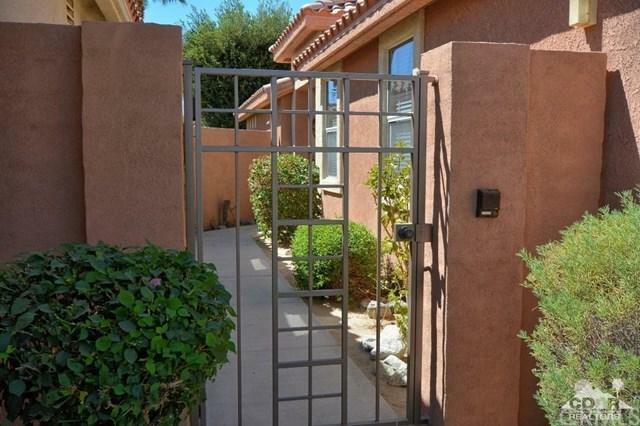 Sold by Pamela Wasserman of Exp Realty Of California, Inc..